I want to feature this at this weekend’s Saturday dishes! Looks delish! Thanks for linking up again. This will be great for my nut allergy daughter and my lactose intolerant son… pinning. I don’t think I could live without my Farmer’s Market… but before moving here, I was in the same boat as you. What a creative way of making mac n’ cheeze! I’m super impressed. I assumed it would be sunflower (as that’s a seed rather than a nut), but cauliflower also lends it’s creamy talents. Nice! Thanks for sharing at Healthy Vegan Fridays! I have pinned this awesome recipe on our Pinterest Board. Haha, thank you Audrey! The idea/craving hit and I had some cauliflower and nooch and then bam! 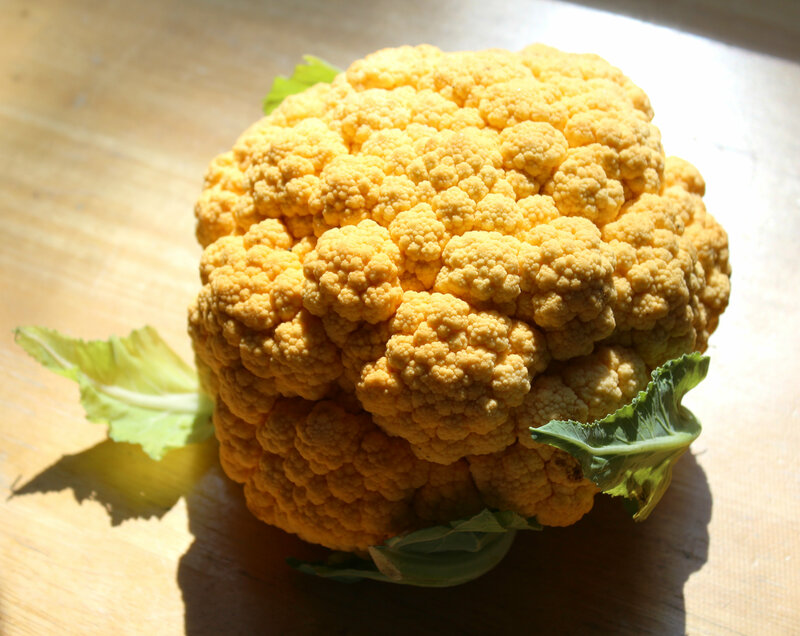 Great recipe – sounds delicious and I love the idea of using cauliflower instead of nuts. Thanks for sharing on Real Food Fridays Blog Hop! Must go to Farmer’s Market! I haven’t been yet! Yes! One of my goals before the end of summer! I am always looking for healthier versions of mac n cheese and this sounds divine! 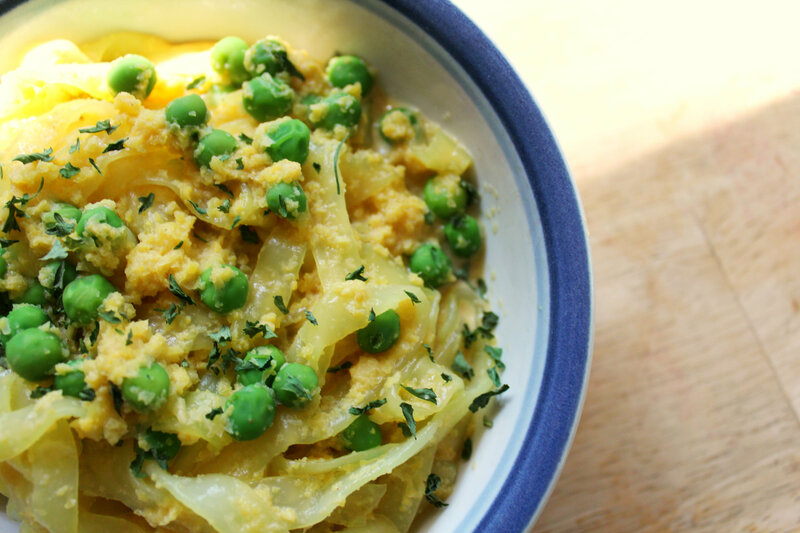 Love the cauliflower in it! On my “to do” list and pinned it to make sure. We love cauliflower and this mac n Cheese looks awesome. New fan via #RealFoodFriday! nice to meet you. 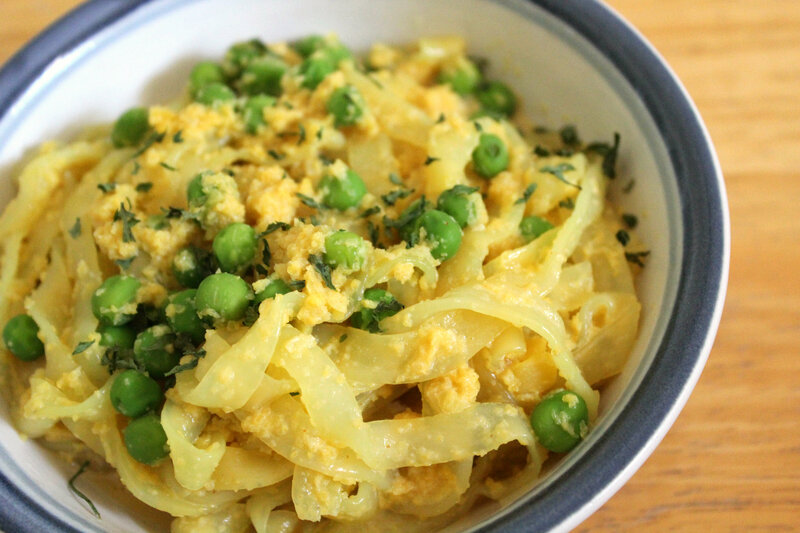 Cashews are my life and they aren’t expensive in bulk at my grocery so I am always loaded up on them, but I wanted to do something different than the usually vegan mac! And girl, I live RIGHT AROUND THE BEND from the best Farmer’s Market in the world (exaggerating? maybe, lol) but it’s an epic market in Hollywood.. And I have only been ONCE! WTF is wrong with me! I gotta go this Sunday… Yeah, I have been saying that for the past 2 Sundays! LOL! Haha, not a challenge at all! Super easy and fun to make! It’s so weird! You would think NJ would have tons, especially where I live…but that is just not the case! Not only pretty, but I bet it’s super yummy too! I love it! Pinning for later. Thanks! I try to branch out and try at least one new veggie every time I find one, but yea, I usually stick to my favorites! Me too! No anyone can eat it! Wow, very creative! I need to try this. Thank you! Love this! Will definitely have to try. As an high carb, low fat vegan, a lower fat mac and cheese option is a win. Awesome! Let me know if you do 🙂 I would love to hear how it turns out! Oh my gosh this looks fantastic!! I haven’t tried vegan mac&cheese yet. Got to do that soon. And girl, get yourself to a farmers market! I only have one in my town every Monday and it’s just like yours – 2 farmers, the rest baked goods and junk I don’t want, haha! We have a bunch of small farmers that have signs for like strawberries, peaches, and stuff like that but now good actual markets! I’ve been wanting to check out my farmer’s market for years. But somehow I just can’t bring myself to get up early on a Saturday morning to go! Haha, it may just be worth it! You might find something amazing! Markets can be expensive, but since it’s all local it makes me feel good about it…maybe, haha! I try to get to farmers markets when I can but, honestly, I tend to lean towards supermarkets as they’re cheaper and have a bigger supply of organic produce…I don’t know, maybe I should rethink my priorities. You know whats a great veggie to try? Daikon! Its an awesome Asian veggie, crunchy, crisp, and perfect for salads! Omg yes! I’ll email you some later! Haha, thank you Francesca, let me know if you do! Zoodlee are the best! I’m so glad I got a spiralizer! I always buy gallons of zucchini every week…from the grocery…but its one of my favorite veggies! Loving adding peas to mac and cheese! Perfect addition! 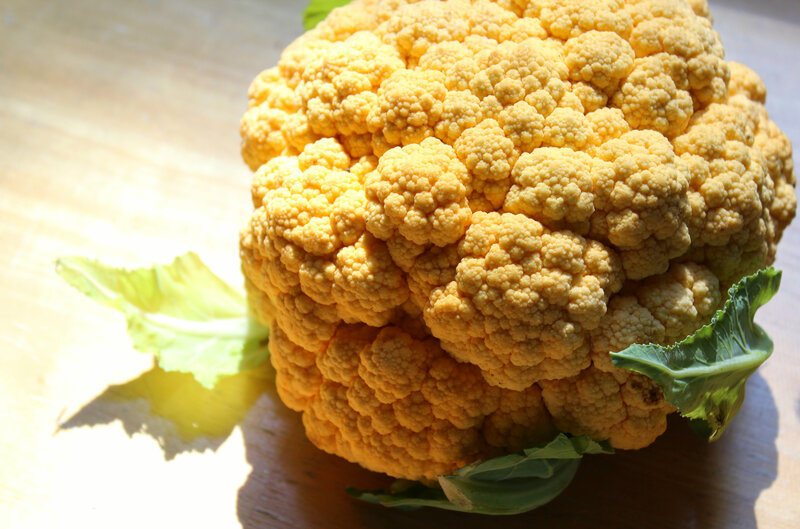 Isn’t cauliflower the secret star of the vegetable world?! I posted a recipe for vegan and gluten-free Cauliflower Nuggets last week and feel I’ve used this unassuming white vegetable in a million different ways before, too. Farmers’ Markets are amazing but I wish the ones around here were happening at more working crowd-friendly times. 8 AM to 1 PM on a weekday?! That’s just not cool. So If I could I’d go every week but it’s not in the cards when I’m working. Ah! I love that recipe you posted! It sounds and looks fabulous 😉 I had to go a long time not eating veggies likes cauli and broccoli because they hurt my tummy to much, but I have slowly been able to enjoy their loveliness again! I think we need to start a petition to make Farmer’s Markets more user friendly, haha! Absolutely – and it has to be international! Where do I sign??! About the vegetables: I know some people eat broccoli and cauliflower raw but I can’t. Cooked they’re fine with me unless I overdo it. I loooooovvve farmers markets, that is one thing I am so grateful for in Michigan…they are every week, and I know a lot of the farmers by now. One question Rebecca, as I am confused…..did you miss the cheese off the recipe? I know you would be using a dairy free cheese, but I can’t see any cheese on the ingredients list….sorry if I missed it, but I just wanted to let you know in case. Hahahahahaha! Tina! The “cheeze” is the vegan cheeze sauce made from the cauliflower and nutritional yeast! Haha! It’s vegan and nut-free and uses only real ingredients 😛 Nutritional yeast mimics the nutty cheezy flavor that all vegans grow to love! i haven’t been to the farmer’s market in months!! i need to change that but going to a busy market with the baby scares me. and umm i love adding peas to mac and cheese!! I’m sure William would love the farmer’s market 😉 Haha! You know what I forgot to add to this? Ketchup! Peas, mac n’ cheeze, and ketchup is like the best combo! OOH this is a great idea!!!!! When I lived in Philly, I wend to farmer’s markets ALL the time. Since I moved to Miami, not so much. They are few and far between. But I want to! This recipe looks amazing! I’m going to try it! It definitely depends on where you live! Some cities have great markets, others not so much! I’m glad to here DC will though! I am so pumped! We have a market close by but the hours make it difficult for me to get out there. 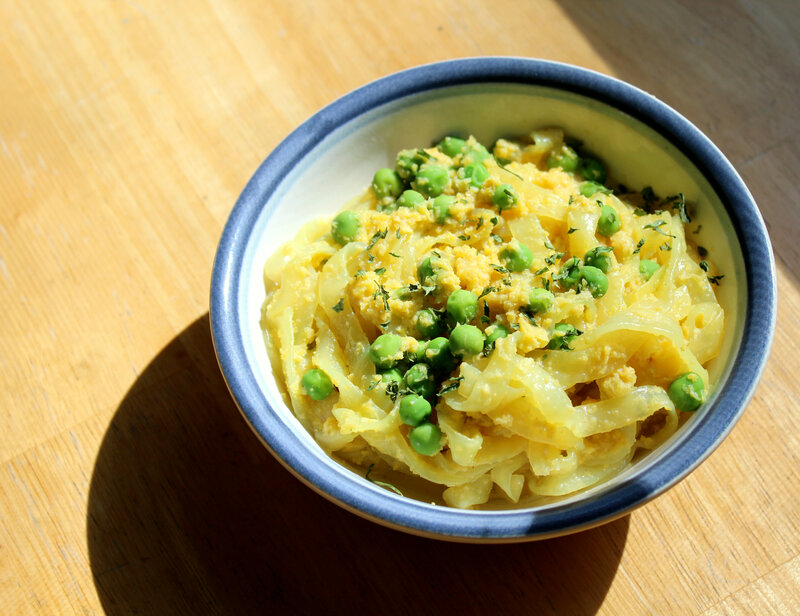 I”ve tried the Shirataki noodles before but was not a fan but this recipe looks pretty good and maybe I should give it another try. Maybe the problem was the soy sauce I tried to add to it. Feel free to use any other noodles! Shirataki can be strange, but I had them on hand, so why not put them to use!